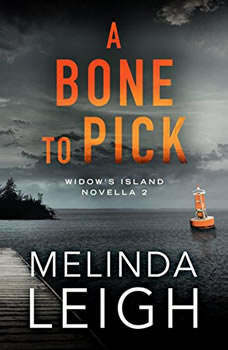 In this gripping second novella in the Widow’s Island series, bestselling author Melinda Leigh delivers a chilling tale of murder in the Pacific Northwest.Deputy Tessa Black gave up her career as a detective with the Seattle PD and returned to the Pacific Northwest island she calls home to care for her ailing mother. Tessa thinks her mother’s illness is the worst thing she’ll face—until she responds to a routine call in the state park and discovers a local man harpooned to a sign.As the murder investigation unfolds, it becomes clear that the victim harbored secrets. Together with her FBI agent best friend, Cate, and park ranger Logan Wilde, Tessa must connect the pieces before the murderer strikes again. But the closer she gets to the truth, the more she finds herself—and the ones she loves—in harm’s way.Pressure mounts as Tessa attempts to juggle the current case with her search for the truth behind her childhood friend Samantha’s disappearance twenty years ago. Can Tessa find the murderer and uncover answers about Samantha without jeopardizing everything she holds dear?